Show 'em what you're made of with this 1960s purse by your side! 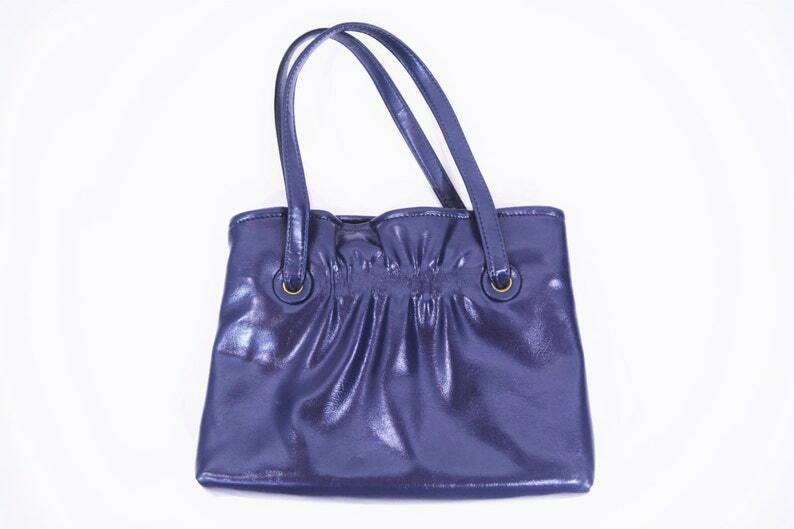 You'll have lots of room to organize your belongings in this navy blue, double strap, cinch detail, faux leather purse. The interior of this vintage handbag has 3 different compartments, the middle compartment has a latch and a interior zippered pocket. 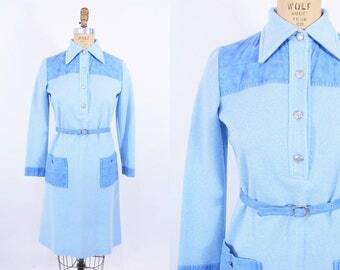 1970s western dress | blue faux suede vintage cowgirl dress | W 33"